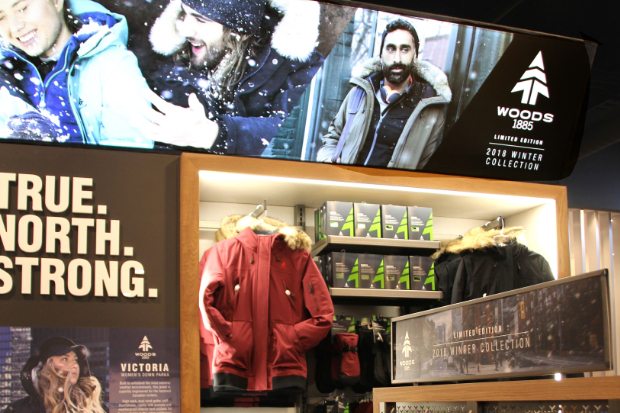 LED lighting has become the proven path to better light in retail stores. Believe us, upgrading to LED really is a bright idea. LED technology is completely reshaping how businesses handle their interior lighting designs. In both new construction and upgrades of retail spaces, LED lighting is quickly becoming the new standard, not only because of its energy efficiency. LED lighting is far more effective at lighting product and adapting to the specific needs of one store to the next. 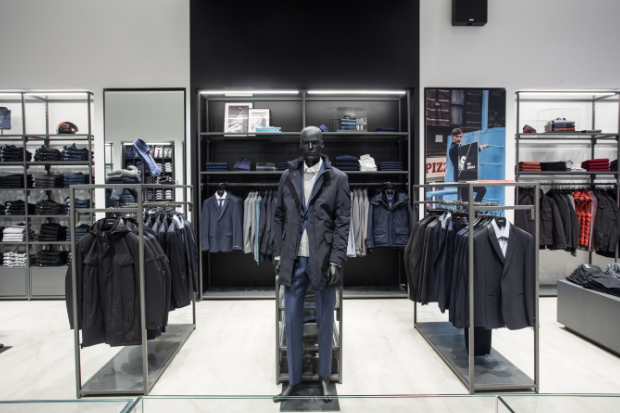 Read on to learn why retailers are switching to LED to up their lighting game. Macy’s and Bloomingdale’s stores across the United States installed more than 1.8 million LED bulbs and lamps and estimated their energy consumption savings to be around 25.7 million kilowatt-hours (kWh) in 2016. The retailer plans to use new types of LED installations in future store constructions and additional store remodel projects. Not only is lighting critical in setting the mood of your store and showcasing your products, it may very well be one of your biggest expenses. As a business owner or manager, you’re most likely concerned with getting the biggest bang for your buck. By paying attention to lighting efficacy, you can make sure that you get the most light for the amount of power the bulb or fixture consumes. LED lighting allows retailers to dramatically lower the cost of ownership through bright colour, long life, minimal maintenance requirements, and outstanding energy efficiency. One example? 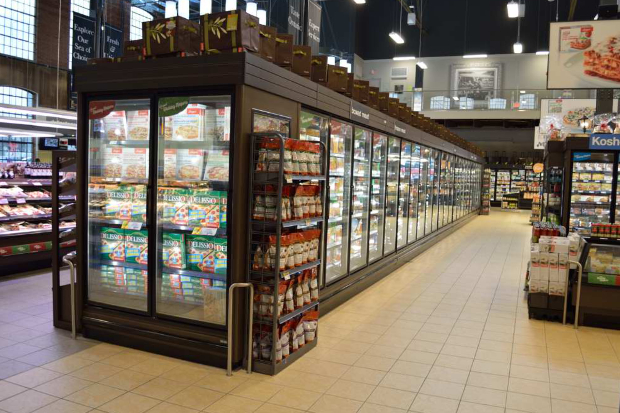 Freezer cases, which account for around half of supermarkets’ energy usage, are now incorporating LED lights. In addition to saving money, research shows LEDs provide more stable lighting in cold environments. 2. Low maintenance and high performance. Remember that the lighting you install won’t take care of itself. You’ll have to replace bulbs, keep fixtures clean and avoid overheating your store with too many high-wattage bulbs. Sometimes, the complications with certain lighting might not be clear at first. Old, inefficient lighting technology will cost you a lot of money in energy, materials, and labor. Consider this: if you opt for a short-life, old, inefficient light, it will cost less up front but it will burn out on you sooner. Who knows how long it takes you or one of your employees to realize that the light is out? It’s more likely that a customer notices it before you do, which hurts your store brand. And once you’ve found it, your employee will then have to take the time to find the correct replacement bulb and change it out. 3. LED can do any lighting job. In recent years LED bulbs have been designed in every popular style of incandescent bulb, making them the best option for unique decorative lighting that reflects your store’s brand and style. Different fixtures can be installed in areas that need better task lighting, including checkouts, store entrances, and dressing rooms. When it comes to dynamic lighting control, LED technology opens up a whole new range of opportunities. LED lighting can be placed and combined in infinite combinations with more effective and precise dimming that makes light levels completely adjustable. 4. LED puts your products in their best light. LED lights make colours appear more vivid and appealing to the eye. If something appears to be the wrong colour, it can drastically impact sales. Food and clothing are the most likely to be passed up if they don’t look how people expect. Take for instance a red shirt that looks almost orange, or a vegetable that looks dull in color. These items are going to lack the appeal of bright, accurately colored products. LED lighting systems can provide general, overall store lighting ranging from cold and bright to toned down and warm. They produce high illumination and directional lighting for a more specific focus to attract customer attention where you want it. This quality of lighting helps customers notice small details, enhancing specific aspects of each product. 5. Create any mood or ambiance. Traditional incandescent or fluorescent retail lighting fixtures generate light in only a limited range of colour temperatures, which only works in a limited number of retail lighting settings. LED technology enables color tuning to a wide range of colour temperatures, which can be a great option if your lighting needs to be precisely changed over time. It particularly shines in settings where you would want to change the colour temperature of your lighting based on time of day, seasons, or even changeover specific product displays. Accent LED lighting for specific store areas can be tuned across a wide range of colours to give optimal lighting to separate areas to bring out features of products that are displayed in nooks or display cases, and to emphasize signage and decor. 6. LED can work nearly anywhere. If you’re putting your products on shelves, overhang from other shelves can cause shadows or limit light to the area. More and more LED highbays and strip lights are becoming available with direct uplight or more vertical footcandles for a better solution to create illumination and lighting uniformity. LED strip lights have adhesive backings for easy installation, and most can be cut to fit the precise area that needs lighting. Quick-connect lights use a plug-and-play system to provide clean, consistent lighting, can have up to 11 lights in a series, and even retrofits to existing fixtures. 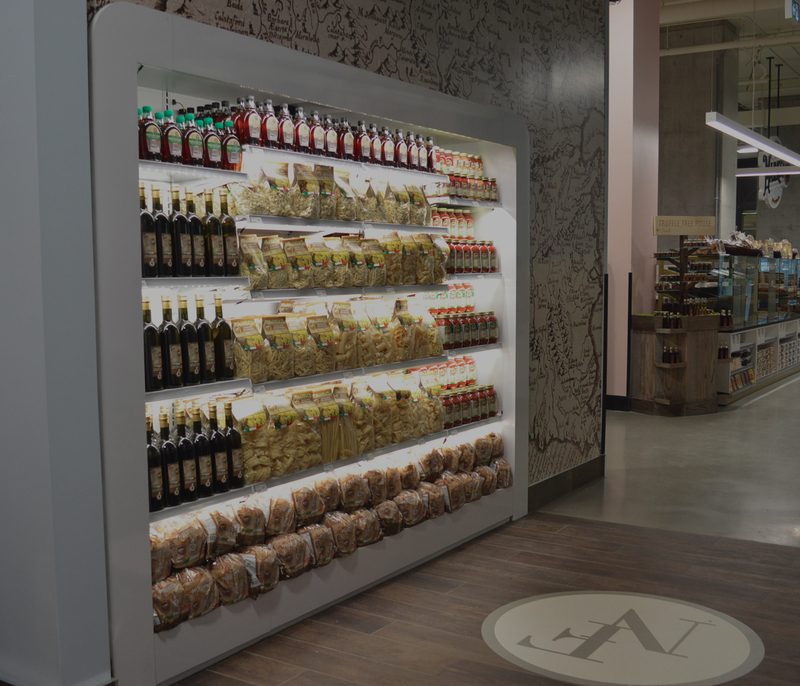 You can even get creative to make different areas stand out and be found more easily in your store. Install LED light strip fixtures in a display case, around a counter, an edge-lit sign, or to create a custom LED light box. 7. LED pays off as a long-term investment. While the type of business you run largely determines the types of lighting (and bulbs) you select, they have to work within your budget. You must consider upfront costs of the light fixtures as well as the long-term maintenance they require and the energy bills that will follow. The biggest argument against LED lighting remains its significantly higher upfront cost compared to traditional options. Despite the initial investment, the benefits and effectiveness of high-quality LED lighting make the upgrade something all retailers should consider over the next few years. 8. LED adapts to your design needs. LED technology increasingly is being paired with lighting controls to satisfy energy codes and create just the right scene. If your floor plan is constantly changing, it might be best to install a retail lighting system that can be changed as well. Track lights or gimbal and eyeball can lights can all be aimed in different directions. Depending on the products you’ll be displaying, you should adjust your lighting when your space plan or merchandise changes. In the planning of any retail space, lighting offers its own set of challenges. Your needs are unique to your type of store, your business goals, and the merchandise being displayed. We can help you test different lighting strategies in your own store so you make the right choice for your needs and budget. Give me a call at 905-264-0917 or contact us.